As one of only four offset printers in Australia producing catalogues and magazines – and the largest private printing company – Spotpress lays legitimate claim to being the best in the business. Digital media may have replaced a lot of hardcopy newspapers and magazines, but John Georgantzakos from Spotpress says that downturn has been surpassed by a corresponding increase in catalogue production. Georgantzakos believes the experience of holding and leisurely browsing a catalogue can’t be reproduced online; what’s more, it’s been proven to yield better sales results. “Every retailer that stops printing catalogues sees an immediate decline in sales,” he says. The equipment at Spotpress has been set up to provide the lowest cost catalogue printing for small to medium sized retailers. 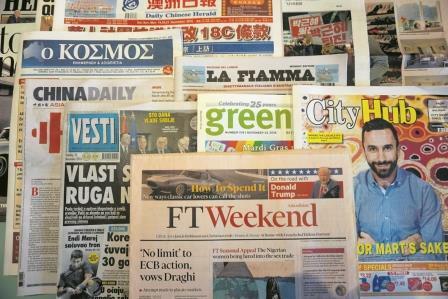 Spotpress also has 95% of the ethnic newspaper market as well as many independent newspapers and magazines. Print is not dead yet. “The other month we printed a magazine for Facebook – they’re now publishing their own print magazines!” Spotpress provides design, print and distribution. Georgantzakos has been in the industry since 1981 and is happy to advise customers on their printing needs.